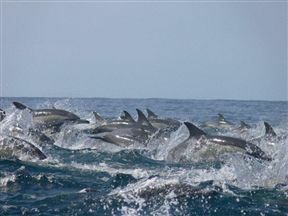 These dolphins were swimming alongside the boat - what a great sight! 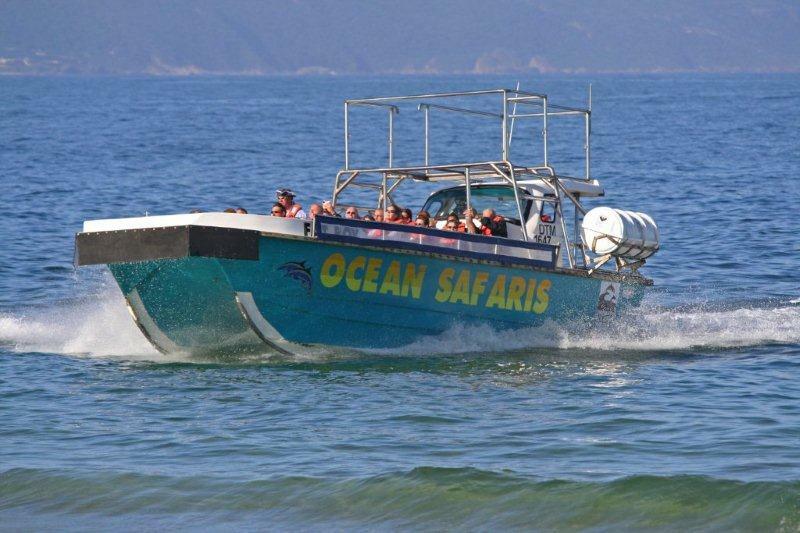 Explore Plettenberg Bay’s stunning coastline looking for whales, dolphins, seals, sharks, seabirds and other marine life from a twin-hull ski boat. 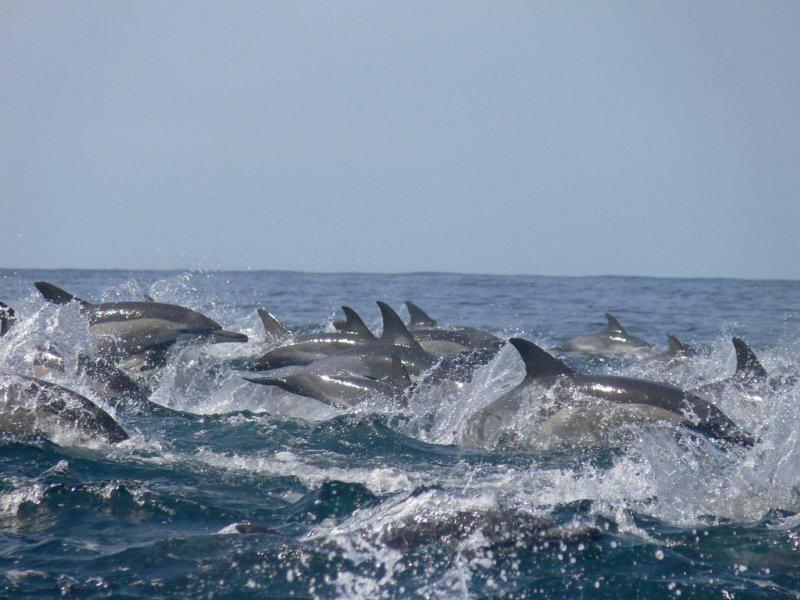 Ocean Safaris offer exciting whale and dolphin watching trips guided by knowledgeable qualified skippers. They are permitted to conduct close encounters with whales and are Fair Trade accredited. Pop in to their interesting office in Hopwood Street to find out more. You'll find a warm welcome, reconstructed skeletons, whalebones, free Internet and coffee. From the N2, turn into Plettenberg Bay at the Shell Garage. At a traffic circle turn into Marine Drive and travel past another two circles. After the second circle (one with dolphins on it), continue straight and head down a hill (Oddlands Drive). At the bottom of the hill turn left into Hopwood Street. Splendid, absolutely an amazing experience! Wow, what a beautiful bay to experience such lovely animals. Plettenberg Bay is such a stunning town and the weather while we were there was great. Supposed to be winter but you wouldn't say so. The staff are great and really know their stuff. We spent another 40min in the shop looking at all the interesting stuff and answering a couple of important mails. 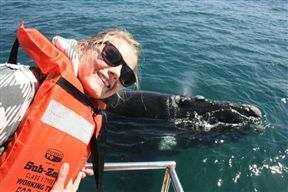 Thank you Ocean Safaris and we will certianly spread the word about this great town. 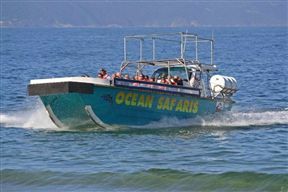 Ocean Safaris is 1.2km from the centre of Plettenberg Bay , the nearest airport 110.8km (George Airport).